The Bayou Classic 16 Quart Cast Iron Dutch Oven is well known for this dutch oven’s quality. Cheaper dutch ovens have that rough, pitted feel making the competitor’s dutch oven hard to clean. The included cast iron dutch oven lid is unique due to its raised lip, which is designed for cooking bread or rolls on top. You may also use the lid as a cast iron griddle. 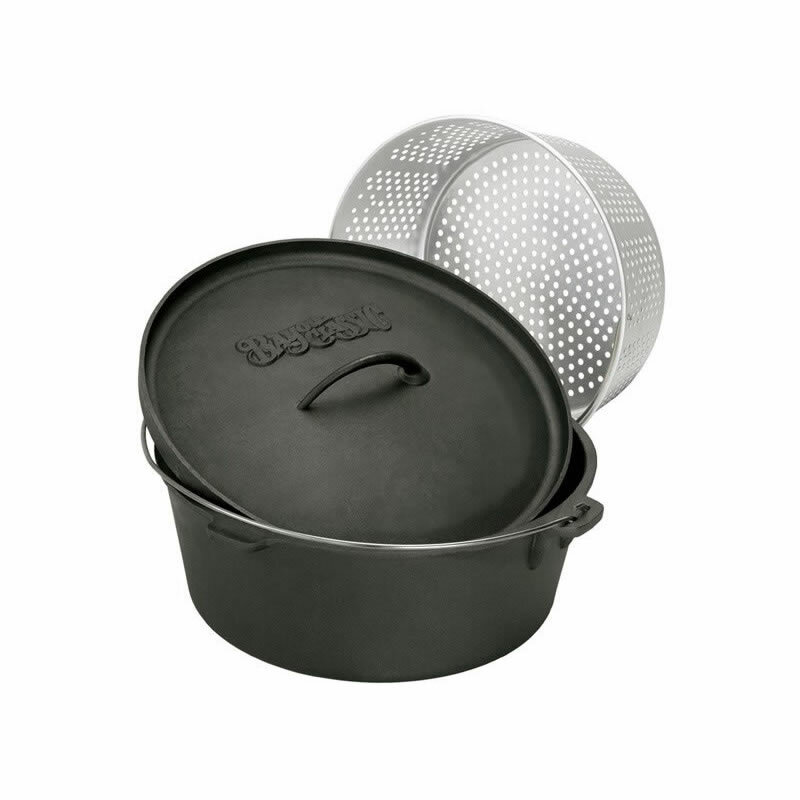 The Bayou Classic 16 Quart Cast Iron Dutch Oven also includes a perforated aluminum basket with handle. If you have a tripod, you may use the wire handle for hanging. The 16 Quart Cast Iron Dutch Oven measures 14” D x 6.5” H.
• Includes dutch oven lid. • Includes perforated aluminum basket.